Anglo-French group The Dors have been selected to be the first group to tour through the newly established Outer Circle network. 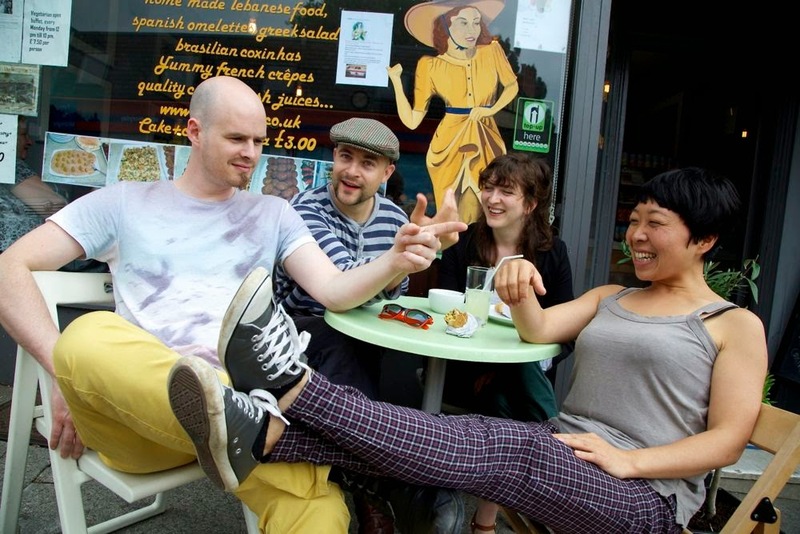 The Dors brings together Christophe De Bezenac and Chris Skarkey (Trio VD) and Eve Risser and Yuko Oshima (Donkey Monkey) to form a group which showcases their formidable talents in contemporary improvisation, composition and performance. The group is supported by Jazz Shuttle, a scheme which facilitates collaborations between English and French musicians. Outer Circle is a grass roots UK touring scheme that co-ordinates the activities of DIY promoters working in areas of music outside of the mainstream. The core idea is co-operation between like minded promoters, sharing ideas, experience and resources, and ultimately co-ordinating their separate activities into a cohesive touring network. The scheme is a celebration of the fantastic musical activities that are happening every day across the country on minimal budgets but fuelled by passion and excitement for outsider music. By simply bringing these geographically spread individuals together and opening a dialogue, we can strengthen each respective music scene and through open co-operation, can each become stronger!